As the conduit for massive change involving the state’s new payroll system, the Wheeling woman who guided West Virginia Northern Community College into the complicated procedures has been cited as WVNCC’s Outstanding Community College Contributor for 2016-17. For two years, Kelly Paree, human resources representative/payroll at Northern, worked diligently to set up the state of West Virginia’s new OASIS payroll system for the college. 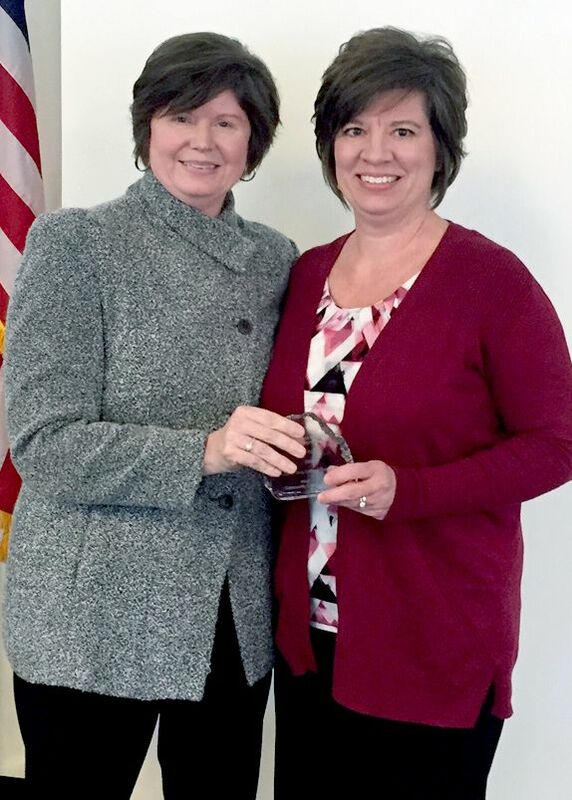 Paree received her award during the annual conference of the West Virginia Community College Association held Dec. 7 and hosted by BridgeValley Community and Technical College in Charleston. The outstanding contributor has been married for 25 years to husband, Angelo, and the couple has two teenaged children living at home. Kaitlyn is a student at West Liberty University and Nick attends Wheeling Park High School. Previous to joining WVNCC in April 2010, Paree spent 15 years doing payroll work in the private sector, including as Columbian Chemicals–SR plant administrator for three years and as a payroll specialist for seven years with WesBanco. The graduate of John Marshall High School in Glen Dale earned a certificate while attending business school. She is an avid reader and often can be found reading a book on her lunch break on the Wheeling campus where she has worked since embarking on her career in higher education.